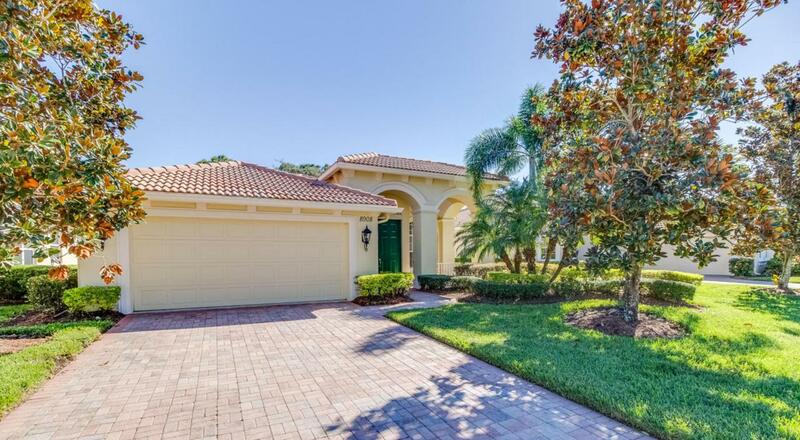 Desirable 'Medinah' floor plan in PGA Village with private lake views! This light and gently used home feels brand new. The spacious floor plan features 3 bedrooms, 2.5 baths, berber carpeting in the bedrooms, stainless steel kitchen appliances, granite counters, upgraded kitchen cabinetry, built in speaker system, dual vanities in the master bathroom and a large great room. Pocketing ten foot slider doors out to the lanai are an entertainers dream. 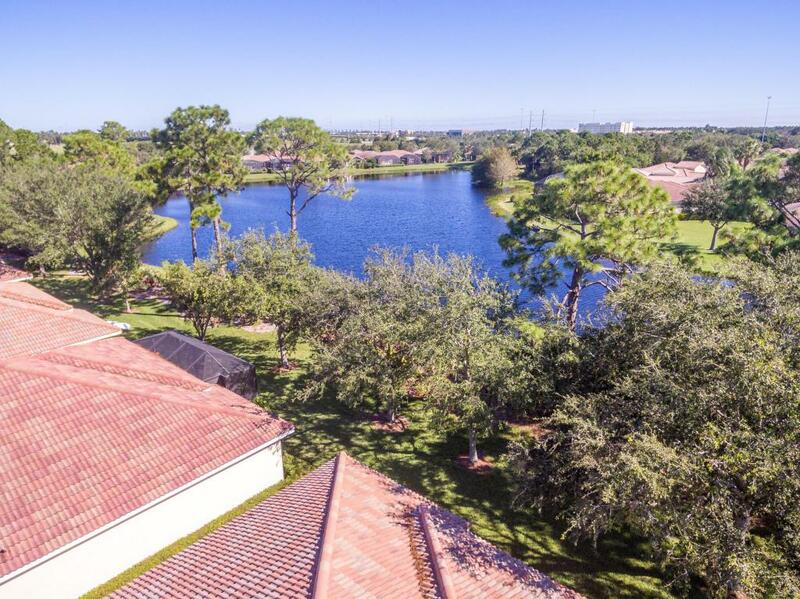 HOA fees include gated security, cable, lawn care and access to the resort style clubhouse. 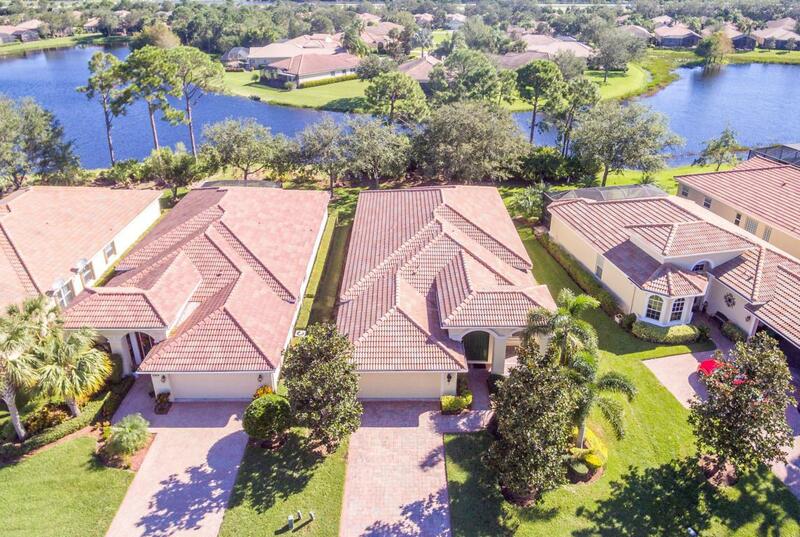 Call today to view this wonderful opportunity!